It is that time again where you get to know a pug from the social media scene in our popular Social Pug Profile series. This week it is the ever so awesome & heroic Batman. Get to know Batman in his interview. 5am when I like to jump on Dad’s head to make sure he knows I’m awake and ready for action. I’m pretty sure it’s Dad’s favourite time of the day for that reason too! Bacon and apples… but mainly bacon. 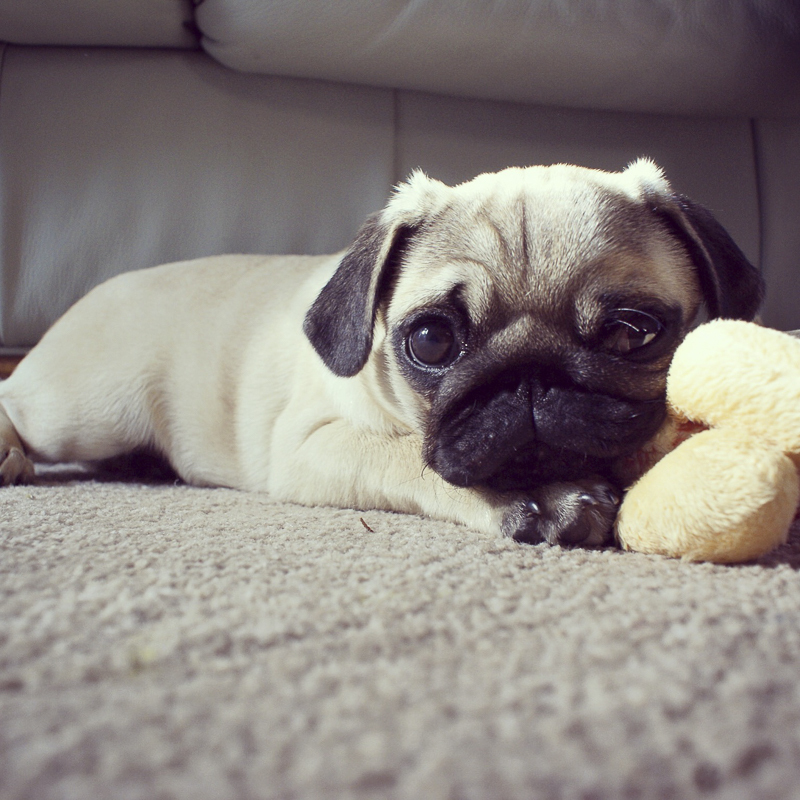 My teddy. I pulled him to pieces once but Mum put him back together for me, now I’m super careful with him. Thanks Mum! Fighting crime and keeping the streets of London safe! I like to bark… a lot. Especially at random objects with absolutely no warning at all. I can go from fast asleep to full on barking in less than 1 second! My ability to cheer anyone up by just letting them stroke me. 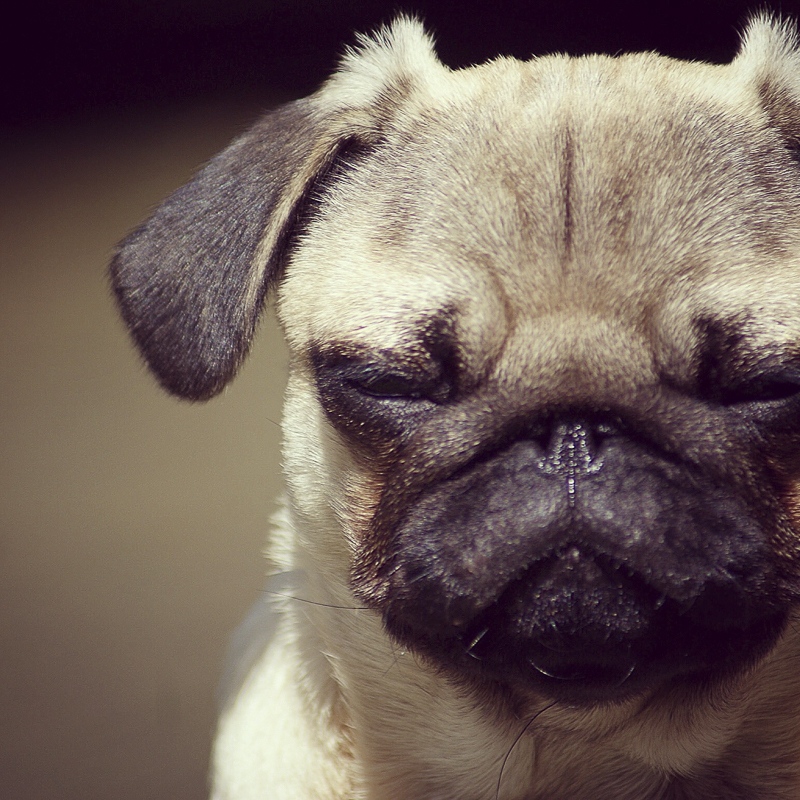 And my squishy face. I Wake Dad up at 5am, have some breakfast and go out for a quick walk. I go to work with Dad everyday on the bus at 7am, which is always eventful! Most of the people on the bus know me now so I get a lot strokes and treats, which is awesome. Once in the office I tend to have a little snooze until everyone arrives. Then about 10am I properly wake up and make sure everyone knows I’m there by running around as fast as possible barking at everything. I then have a little snooze around midday when Dad goes to the gym. When he’s back we go for a little stroll around Soho Square, where I chase all the viscous gangs of pigeons and make sure they’re all kept in order and everyone is safe… you’re welcome. Then we head home on the bus again around 6pm. I pretty much sleep the whole way back and like to snore, really loudly. People look over and because they can’t see me they think it’s Dad snoring and he’s actually been told to be quite on occasion. It makes me laugh! Once we’re home I get super excited to see Mum and run around like a loon for half an hour before dinner time. Then we all sit on the sofa and watch a bit of TV. I say watch, Mum and Dad watch TV and I just bark at it. I think they appreciate me keeping them safe from all the other dogs on TV! Then around 11pm it’s bedtime, which is great as I get the whole sofa to myself! Sometimes that isn’t enough though so I break into Mum and Dad’s room and sleep on Dad’s head. What is life like having to protect Gotham? It’s great! I’m always out on patrol and loads of people recognise me when I’m wondering about keeping the streets safe, which means I get lots of strokes and treats. 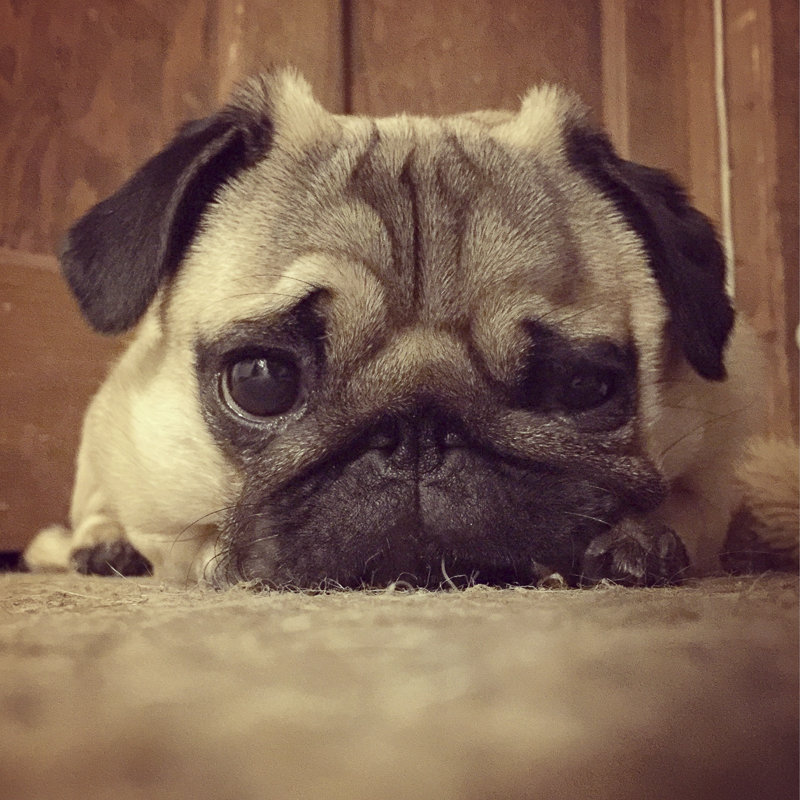 What is it like having a dad who creates really awesome apps for pug lovers? Dad works really hard, with his friend James to make all the awesome apps. I let them take the credit, but obviously they’re all my ideas… I’m the real creative genius here. 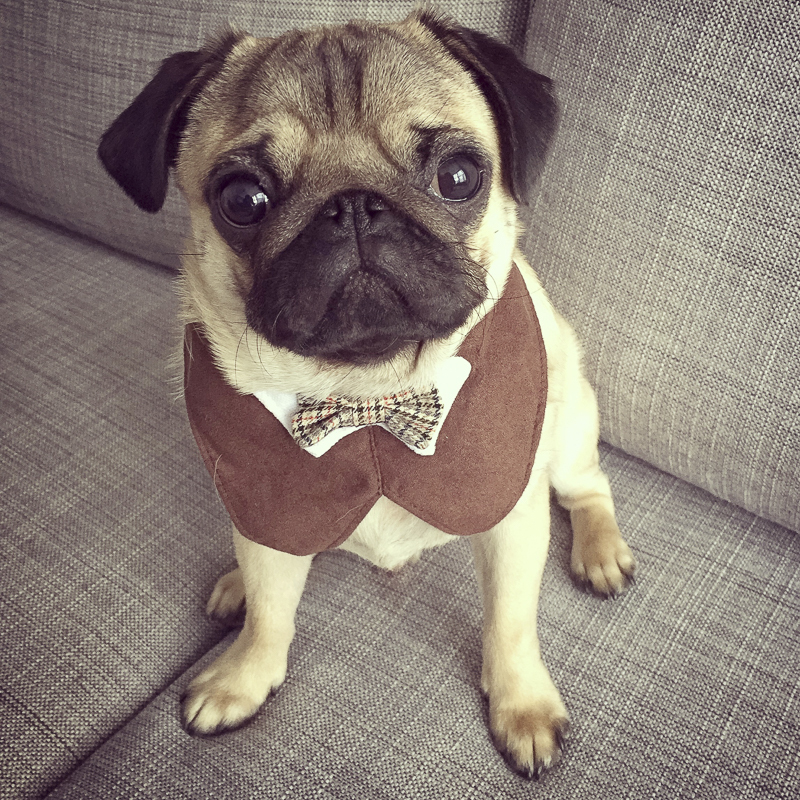 We’re already working on loads more pug apps, which is really exciting! We plan on launching a new one every few months so if anyone has any suggestions or ideas, let us know and we might be able to make it a reality! I’d like to say a massive thanks to all my fans for supporting my apps. I make them all for you guys and I really appreciate all your support! Which of the apps that your dad has created do you love the most? And is there anything you want to see your dad create for all of the pug lovers? Pugmoji is my favourite. I get to send little emoji style stickers of my face to all my friends with it. Since it launched not that long ago, over a quarter of a million Pugmojis have been sent, which is amazing! 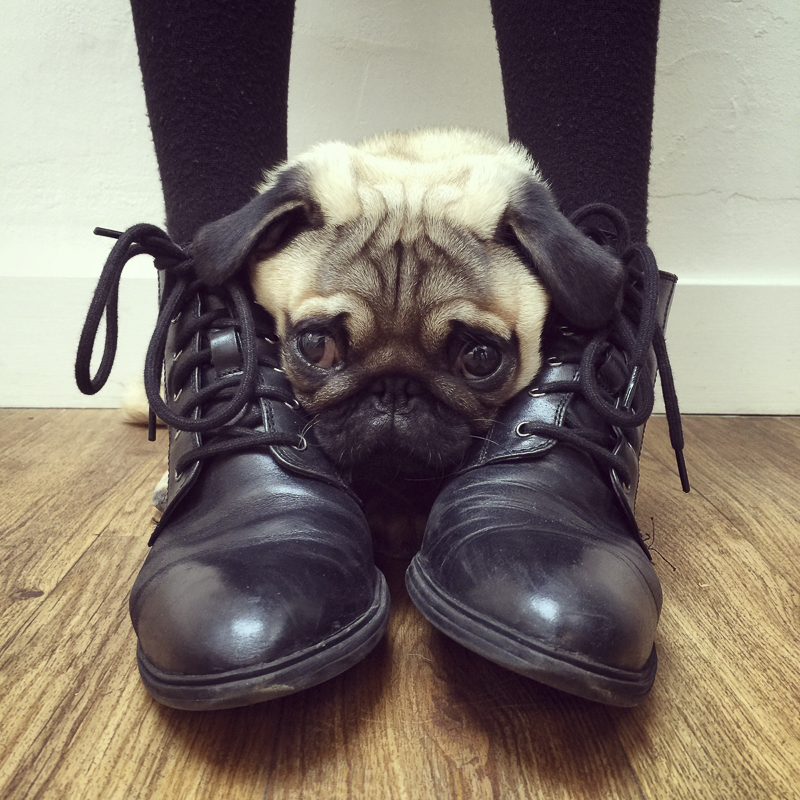 I really want Dad to make more pug games, which is exactly what he’s doing at the moment. One is already out called Pugpop, which everyone seems to love and has been played 1 million times! But the next ones are going to be bigger and better so watch this space! Thanks again to everyone for all their support. I love hearing your comments and seeing the pics you send through. They make my day, everyday! And now here is one of my favourite videos for your viewing pleasure. 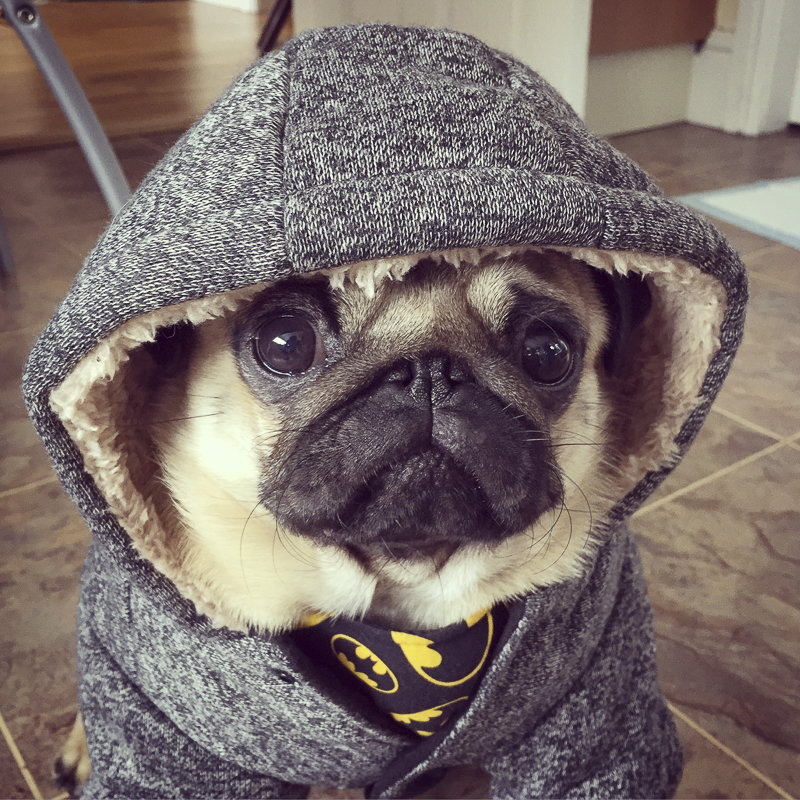 I hope you have enjoyed getting to know Batman in this Social Pug Profile interview and be sure to leave a pug love note for him in the comments below.